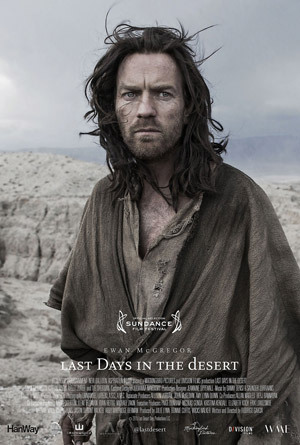 Ewan McGregor, Ciarán Hinds, Ayelet Zurer and Tye Sheridan star in writer-director Rodrigo García’s Last Days in the Desert. Check out the first movie photo below. Inspired by the biblical story ‘The Temptation of Christ’ detailed in the Gospels of Matthew, Mark, and Luke, Yeshua (Hebrew for Jesus) is tempted by evil while alone in the wilderness. Ewan McGregor is Jesus — and the Devil — in an imagined chapter from his 40 days of fasting and praying in the desert. On his way out of the wilderness, Jesus struggles with the Devil over the fate of a family in crisis, setting himself up for a dramatic test.